There are numerous benefits to using liquid screed in place of a more traditional sand and cement combination, and this is especially true when used to cover underfloor heating systems. The screed itself plays an important role in the heating system because it is how quickly heat is transferred through the material, from the heating pipes, that is going to determine how quickly the room reaches the target temperature. Naturally, the faster the room reaches this point, the lower the impact on energy use and cost. Liquid screeds have a distinct advantage here, over standard screeds, because it covers the pipework entirely leaving no air gaps that can slow down or even prevent heat transference. Not only that, but when compared to standard screed, liquid flow screed is up to 100% more efficient in the heat transference stakes. If a project is subject to strict time constraints then liquid flow screed is the preferred medium here, too. Liquid flow screed can be forced dried after just 7 days. For context, the British Standard BS8204 states that the recommended drying time for standard screed is 1 day for every millimeter of thickness, for the first 50mm. This is doubled to 2 days for every millimeter after the first 50. What does this mean in English? A 75mm thick screed will need 100 days to dry, according to BS8204. If a project needs to be completed without unnecessary delays, liquid flow screed is clearly the way to go. 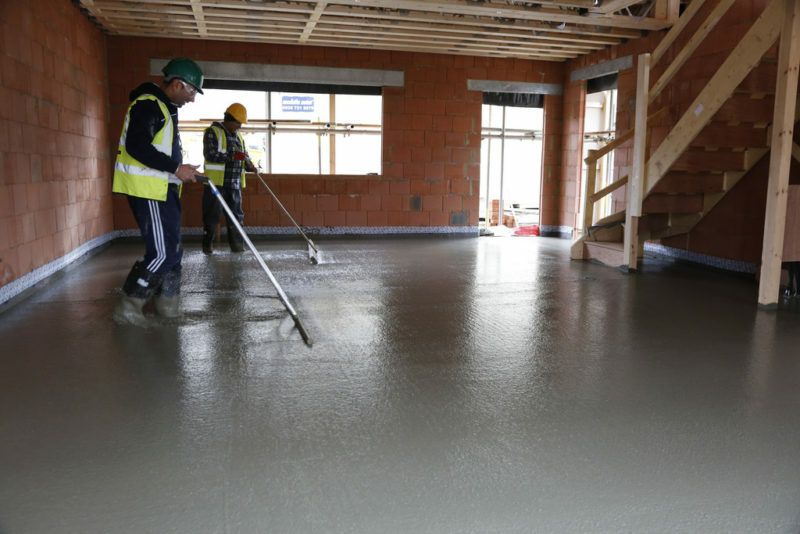 Of course, there is no need to wait a full week; preparation is simple and liquid flow screed can be walked on after just 24 hours meaning that the disruption to other tradesmen and their work is kept to an absolute minimum – the quicker individual jobs can be completed, the lower the total cost of the project! Liquid flow screed can not just be put down in a much thinner layer than traditional screed, it is also stronger. In fact, a thin depth of liquid screed is actually stronger than a thicker depth of sand and cement. This thinner depth can help with the insulation of the project building because it means a thicker layer of floor insulation can be used. A thinner layer also means a lighter layer, this has obvious benefits for overall structural integrity and build design. Liquid flow screed is not just the superior product to traditional screed, it is the natural choice for developers and homeowners alike. Longer lasting, stronger, lighter, cost saving, energy efficient and can be dried in 7 days… It just doesn’t make sense to use anything else.